Somehow, one day, we all woke up and found ourselves living in a world where everyone is an expert except for us. Everything from food (this blog included), to crafts, to parenting and household maintenance has unlimited experts and advice online. Often this saves us money and time. I rarely buy a cookbook, I’ve decorated most of my house with homemade crafts from blogs and we’ve made several home repairs thanks to YouTube. 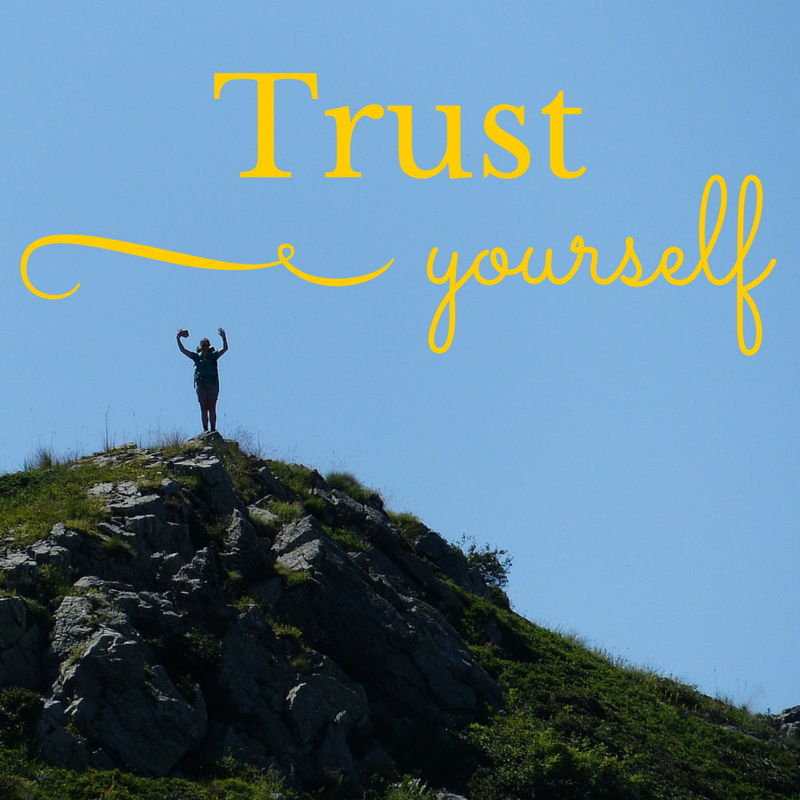 The problem arises when we stop trusting ourselves. Just one day of scrolling through the advice blogs on my Facebook page can make me feel less prepared and less adequate. It’s not surprising that so many stop thinking we can answer our own questions – in fact we just stop thinking. I have a close friend, from a wonderful family, who is doing a great job parenting her kids. Her biggest problem? She hasn’t taken a parenting class and fears she’s not up to par. Really? Since when did the old-as-time-itself act of parenting require a class?! My Israel seminary sends out alumni newsletters with a Q&A to the head of the school. Questions last week included: Should I join Facebook? How much junk food is it reasonable for me to eat? How could bright women, who recently spent a year or more studying intricate texts in a foreign language, lose the ability to decide on their own if Facebook is appropriate for their personal lives or how much junk food is reasonable? I’ve heard a theory that sometimes those who worked so hard to change direction in their lives in order to become a baal teshuva stop thinking deeply upon arrival. It takes so much effort to at first fit in, that once we actually do, we stop making our own decisions. But, it’s only thanks to that deep thinking that we arrived in the Orthodox community in the first place. I’m not saying that a class or advice isn’t helpful. On the contrary, of course it is. But common sense is like a muscle. If you stop using it, it weakens. And at the end of the day, all you have available at every moment and in every situation is your own ability to make decisions. Trust your gut. You (and your kids!) will be better off because of it. So true Wendy! You sure are smart!! Many of my peers are venturing into yiddishkeit, marriage, taking care of a home, raising children, etc. very ill prepared. As we all know, common sense is really not so common! In a lot of these situations the intervention of a rav or therapist could help. And I’m not even talking about major life decisions here! I’m talking about basic children’s safety, adequately caring for oneself, time management, running a healthy home. Many people in my generation come from homes with unhealthy lifestyles- emotional, mental, physical, and spiritual. To me it’s no wonder people don’t have the confidence and self esteem to make their own decisions. In regard to becoming Baalei yeshiva, people get lost and confused in their derech due to lack of experience, yeshiva education, or good role models. Ideally people would trust their intuition, inner values, and own life experiences but I strongly feel (and see) a generation who can’t get it together and more problems arise from too few shailas asked than too many. Essentially I agree with you that people stopped thinking but in my experience more so that they’re just cruising along, barely managing, and not seeking much needed help. Xox just what I needed! Great Observation. Only wondering why that happens to the newly observant….